More than 100 Oakland teachers and students ditched school Monday to protest teacher pay and larger class sizes, an illegal action that could be a precursor to a district-wide strike. Oakland High School teachers called in sick or took a personal day in an unauthorized walkout despite threats from district officials that they could face discipline or a pay cut. They gathered in front of Oakland City Hall with educators from Fremont High and Madison Park Academy, carrying signs reading “Chop from the top” and chanting “Hey, hey, ho, ho, where did all the money go?” in their campaign for a better contract. The walkout was considered a wildcat strike, a rogue act not sanctioned by the Oakland Education Association teachers’ union. That said, it’s clear that the anger among teachers is starting to boil over given the lack of a contract, said union President Keith Brown. The teachers have been working under an expired contract since July 2017. District and union officials remain far apart on wages and other conditions. 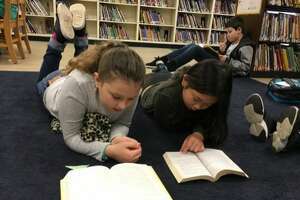 Oakland Unified School District spokesman John Sasaki said the district’s most recent offer was for a 5 percent raise over three years, while the teachers are standing by their proposal of a 12 percent raise over the same period. Negotiations are now in a fact-finding phase, which could ultimately lead to a strike vote. Brown said that a strike could come as early as mid-February. “We’re willing to do what it takes to improve the learning conditions for our students and we are ready to strike if necessary,” he said. While district officials warned teachers that the walkout was an illegal action, an estimated 75 of Oakland High’s 90 teachers participated, according to the walkout organizers. Sasaki said top officials were considering whether to discipline teachers who participated in the walkout, perhaps by docking their pay. He said that the district is still committed to the bargaining process and a fair contract. At the rally Monday, teachers complained that their salaries are among the lowest in the county, although their entire compensation package — which includes no-cost health premiums for employees and families — is comparable to other districts. The starting salary for a first-year teacher in Oakland is $46,570 and top pay is $83,723, with employer-paid pension, health care and other costs adding about $30,000 in additional compensation. The Oakland High teachers, however, said the one-day walkout also reflected a laundry list of complaints, including large class sizes, especially for special education teachers. Amy Wilder, who has taught special education for 11 years, said that there are too many students and not enough support. She said she called in sick Monday in protest and would accept any consequences, saying it was an important act of civil disobedience. Many teachers said they were proud to see their students at the rally and noted that it was an educational lesson for them in community organizing and civic engagement. The students said teachers didn’t ask them to participate, but several said they wanted to support their instructors even if it meant they were truant for the day. Sophomore Sir Ronald Hamlet IV said that he showed up to support his teachers, all of whom were at the rally. While about two dozen students attended the rally, hundreds of their classmates reportedly stayed home from school as well. District officials, however, were still tallying teacher and student absences. District administrators and substitute teachers were filling in for the day. Sasaki, who appeared at the rally outside City Hall, told teachers and their supporters that the district received their message. “We hear you, we want to work with you, and we will continue to talk to you,” he said. A teacher with a megaphone responded with a question for the crowd. “Are you ready to strike?” he asked. Teachers responded with a booming “Yes!” that echoed through Frank Ogawa Plaza. Posted in Accountability, Advocacy, Department of Education, Education Budget, Educators Protest, Every Student Succeeds Act, Failing Schools, Funding For Education, Higher Education, Janus, No Child Left Behind Act, Parents, School Choice, School Closings, School Safety, Students and Parents Protest, Teacher Evaluation, Teacher Shortage, Technology in the Classroom, Testing, Vouchers and tagged "Standing Strong for Public Education", #iBelieve, Accountability, Accountability System, Advocacy, Department of Education, Diversity, Education, Education Funding, English Language Learners, Equity, Every Student Succeeds Act (ESSA), Failing Schools, Federal Education Policy, HBCU, High-Needs Students, NEAExecutiveCommittee, Pension, Pensions, Public Education, School Choice, School Nurses, School Safety, State Budget, Students, Tax, Testing and Accountability. Bookmark the permalink.